Get a jump start on your Thanksgiving decorating with some free Thanksgiving printables. 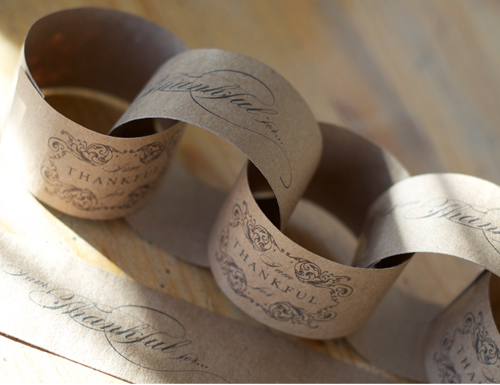 If you are looking for a beautiful and simple garland, At Second Street created this printable Give Thanks banner that you can download for free. This I Am Thankful printable paper chain from Silver Box Creative would be a fun countdown calendar or decoration for you mantel. 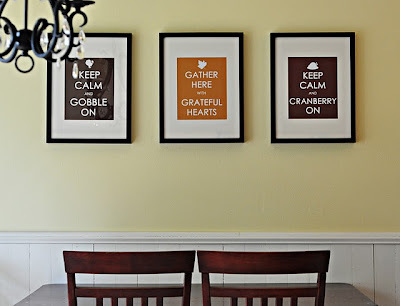 And I there are quite a few fun Thanksgiving printables that I shared last year, like this trio of printable Thanksgiving posters from Craftily Ever After. If you haven't already, you better get started! There are only 23 more days until Thanksgiving!! Oh thanks for the feature Lorie. What a great surprise and honor. I am loving the banner and paper chain! I am off to download them now. Thanks for sharing!! !